This post is sponsored by Campfire® Marshmallows. All opinions are, as always, 100% my own. Halloween has always been one of my favorite holidays. It is like the official kickoff to the holiday season. Celebrations move from Halloween to Thanksgiving to Christmas. I have never been one who gets upset at seeing Christmas decorations in stores before Halloween because to me, it all goes hand in hand. I’m in holiday mode and thrilled to be here! With C’s birthday being just 10 days before Halloween, her birthday is often wrapped up in our Halloween preparations. Last year, I made her cute little Halloween Marshmallow Treats with buttercream ghosts sporting adorable little faces. 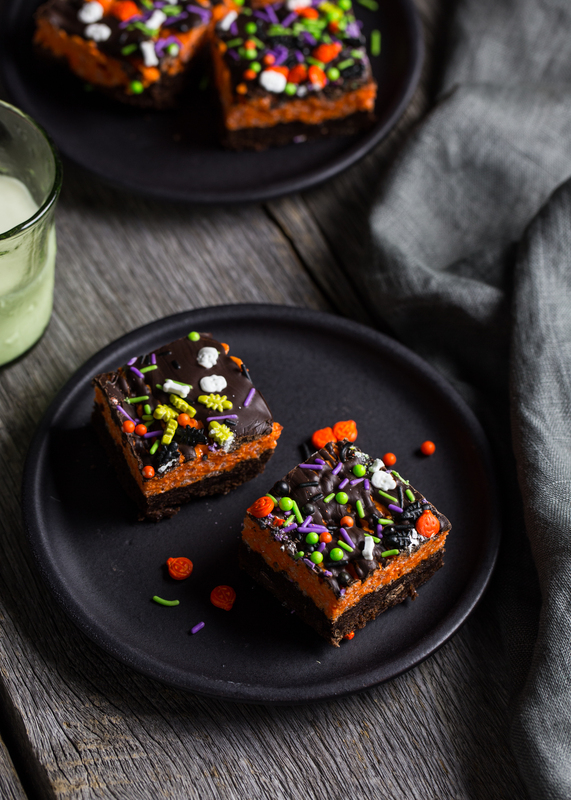 This year, she’ll be taking a batch of these very simple, yet crazy good Brownie Krispy Treats made with Campfire® Hallow Mallows and all dolled up with my most festive Halloween sprinkles. 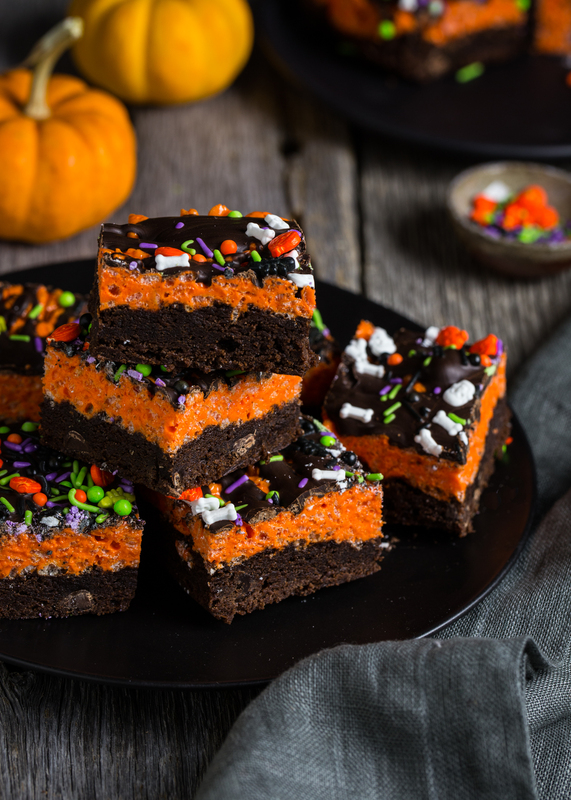 The base of these treats is a simple brownie mix baked in a square pan. I like the ease of a box mix, but honestly, you can use any brownie recipe that your family loves. 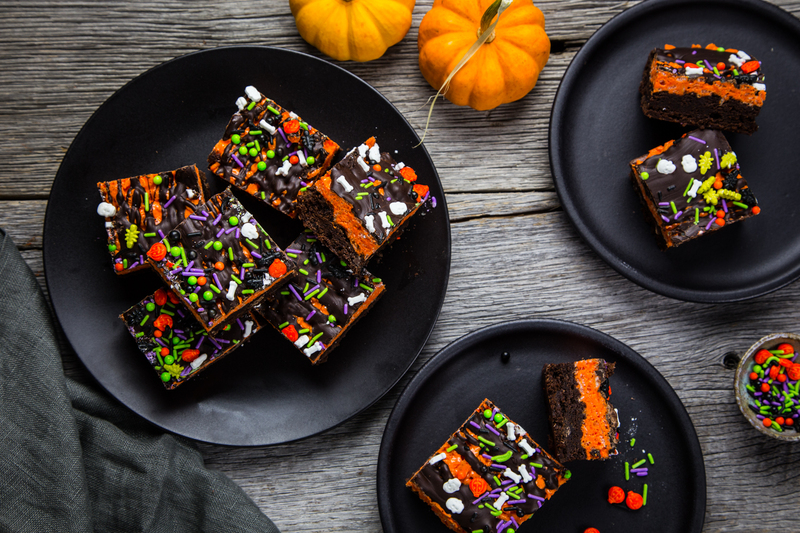 The brownies are topped off with a small batch of cereal treats made with HallowMallows, drizzled with melted chocolate and finished with festive Halloween sprinkles. I am prepared that some year C will want to distance her birthday celebration from Halloween, but I’m thankful that this is not that year. In fact, speaking of being thankful, is it too early to be thinking about Thanksgiving? Because I am totally that girl who listens to Christmas music as soon as Halloween is over. It just feels right. As does making another batch of these brownie krispy treats, so I think I will. This post is part of an ongoing partnership I have with Campfire® Marshmallows. They are hands-down my favorite marshmallows and I am having a ball spreading the word on how incredible these fluffy, sweet marshmallows are. For more information about Campfire® Marshmallows, visit them on their website and follow them on Facebook, Twitter, Pinterest and Instagram. 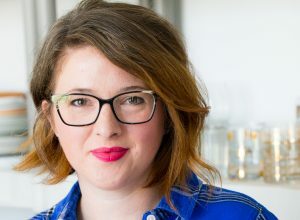 Are you a Pinterest fanatic like I am? Be sure to check out our Marshmallow Madness Pinterest board for even more marshmallow inspiration! Drizzle melted chocolate over brownie krispy treats and sprinkle with sprinkles. Refrigerate until firm. Cut into 16 squares and serve. These are SO cute and genius!! I can’t believe I’ve never thought of it. Love them! My girlfriend sent me to this site.